Opinion on Rail Delete kit? 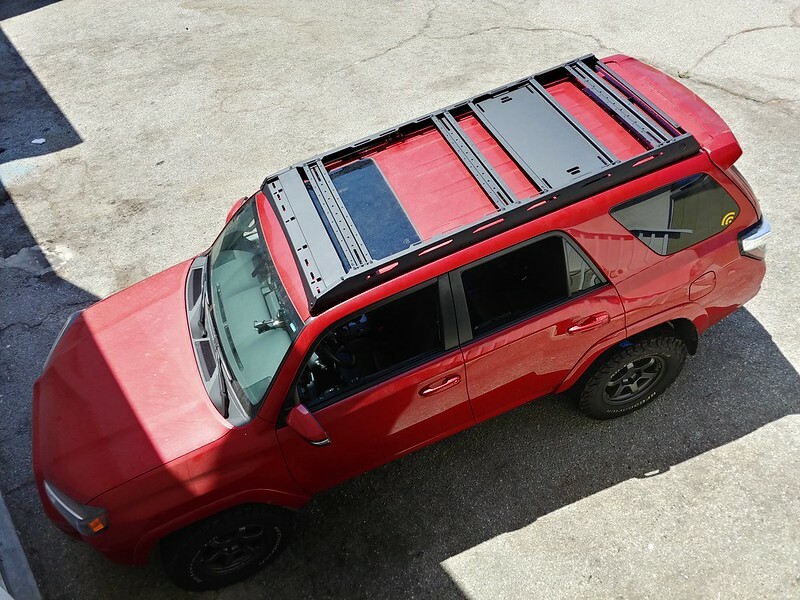 Discussion in '5th Gen 4Runners (2010+)' started by Crossfit4Runner, Feb 2, 2019. I’m trying to decide on wether or not to go with the clean look or keep the rails. I would like opinions please. You won't like it. When I took off my basket I was still waiting for the powder coating to be done and had the slick top for a couple of days...it looked naked, almost plain. I ordered my Macan GTS without rails as I wanted the slick top on that but this car demands something up top. You can remove it, cover the holes up temporarily and drive it for a week and see if you like. Easier to do in Southern California than other parts, except for this week but you will know. rsimi72 and Crossfit4Runner [OP] like this. If you plan on never hauling anything up there and the look of them bugs you; sure, pull them off. You won't really gain MPG or anything, the stock rack is halfway back and pretty aerodynamic. I'll agree with USC though, mine looked very naked while I was sorting out my new rack. Hey USC, you're the one that bought my stock rack right? Make sure your delete kit is very thoughtful about sealing the holes left behind. You don't want any water leaking into your headliner and cabin. Hi, Yes, I finally got them from Kevin this Thursday, I am going to experiment on yours and try some different things. 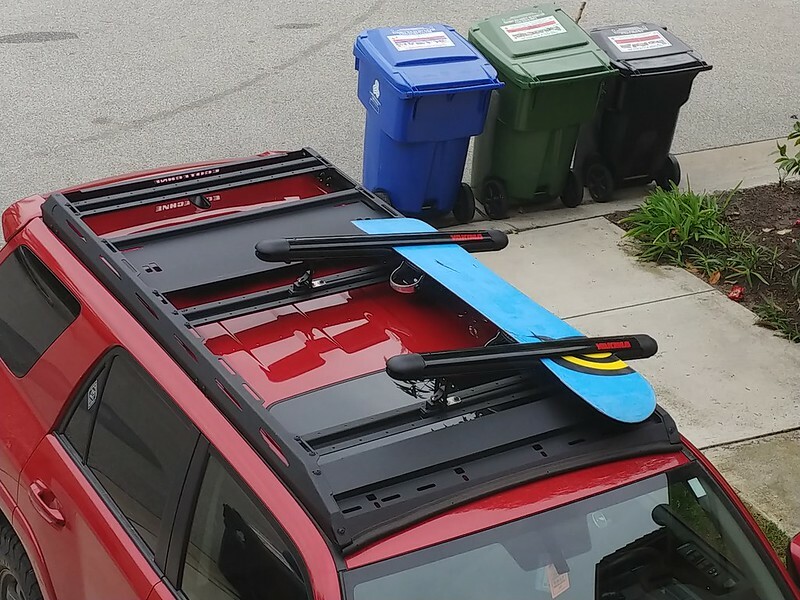 I like your new rack, although I have a sunroof. Me too. It's still relatively unobscured until the snowboards go on. EcoTechne. They're doing a group buy right now that ends Friday, look for Rorck on instagram and DM him for details. It's not perfect though. Check out my thread for tweaks.